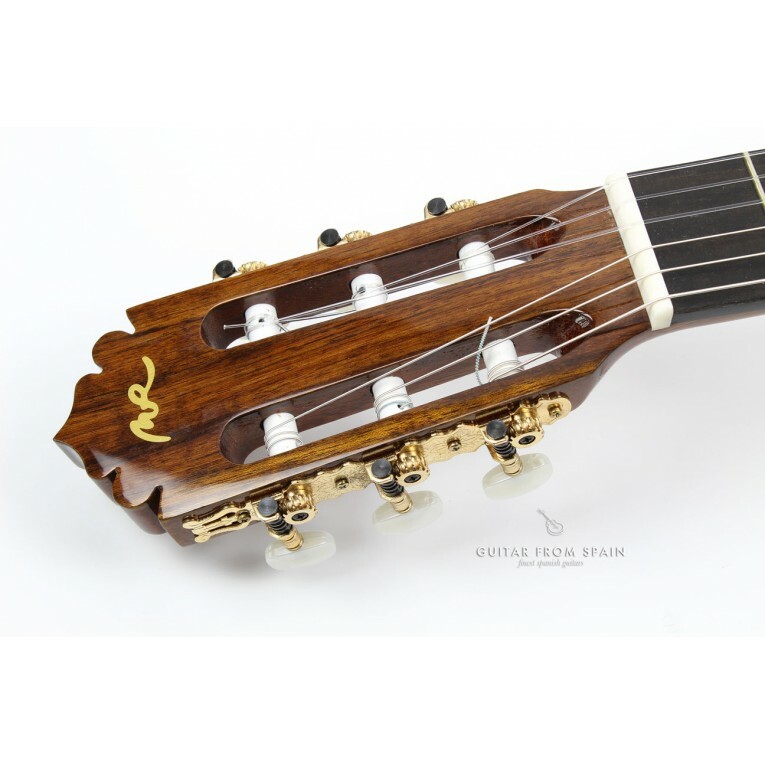 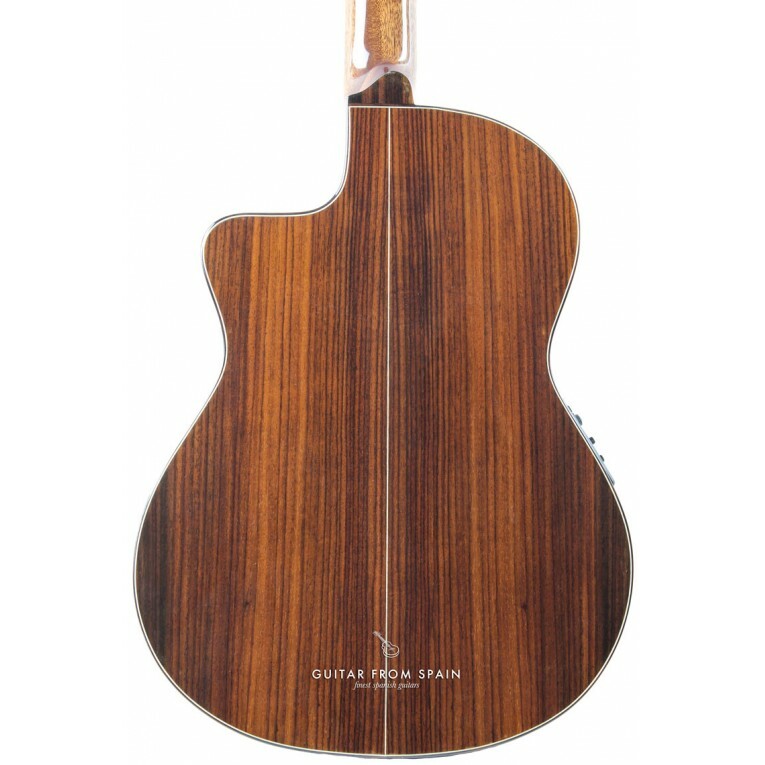 The guitar Rodriguez model B CUT Boca MR is a variation on the popular model B with a slightly narrower body for better comfort. 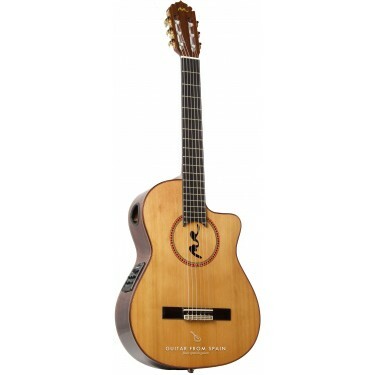 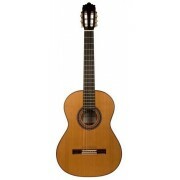 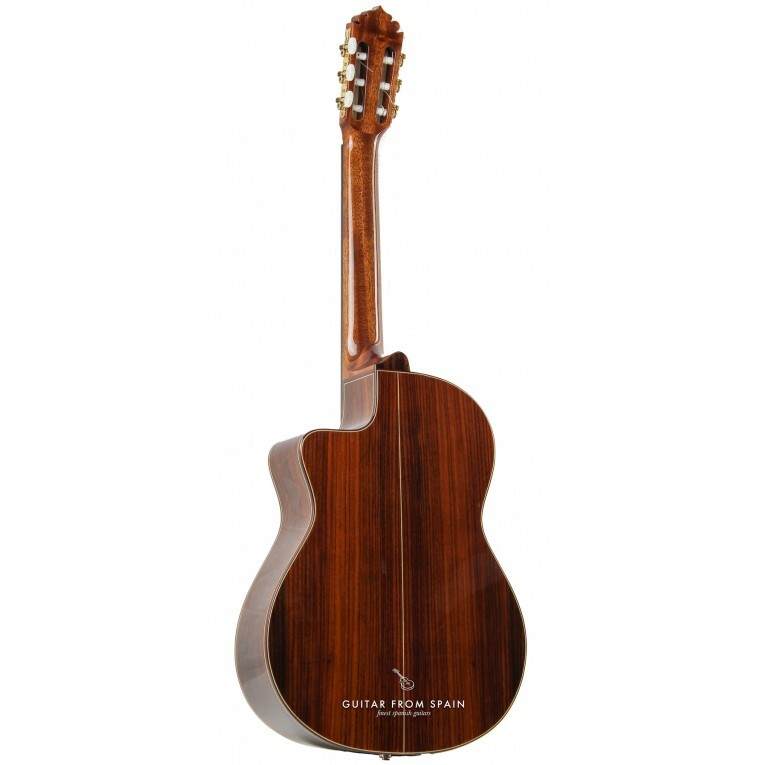 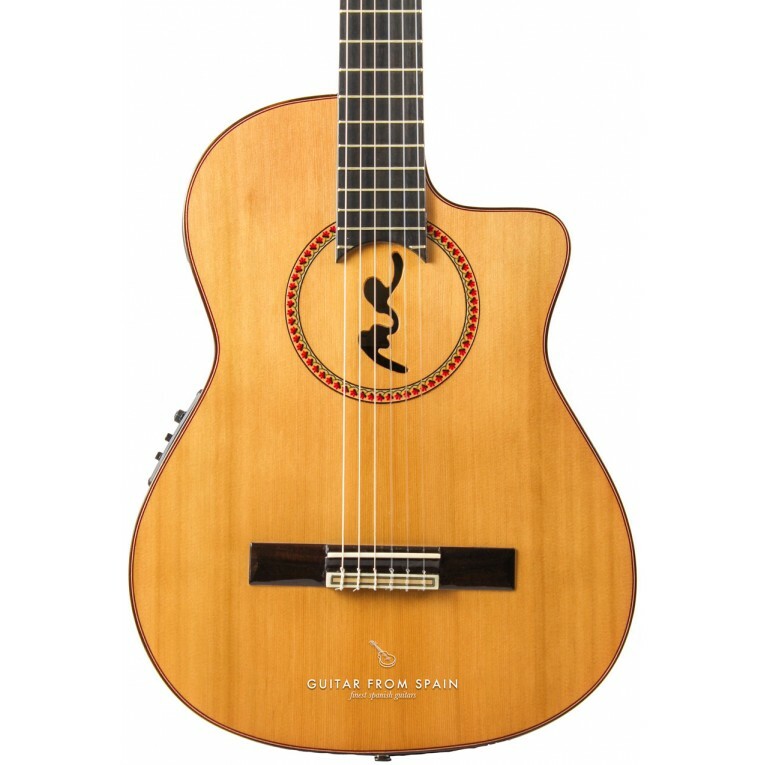 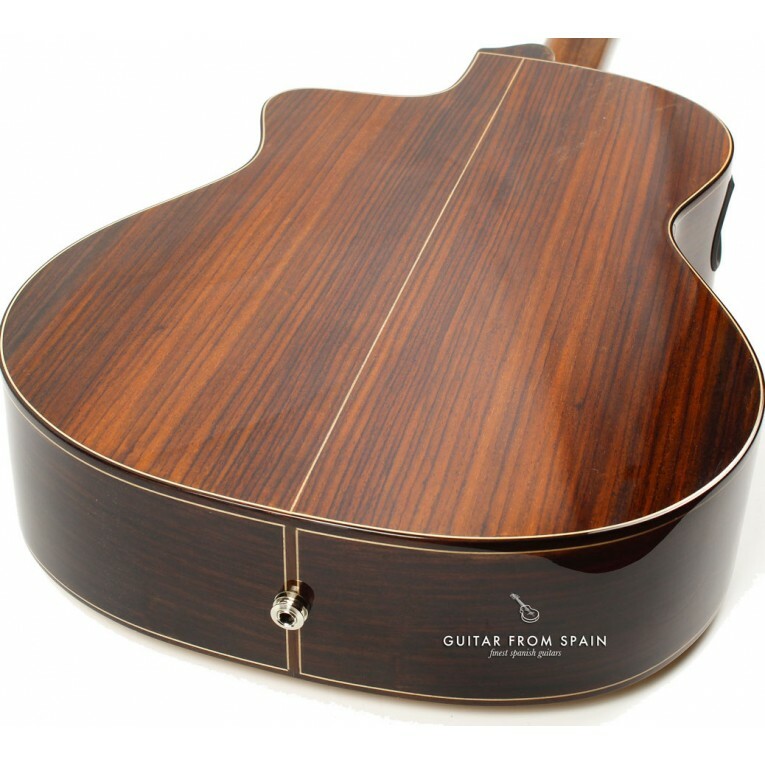 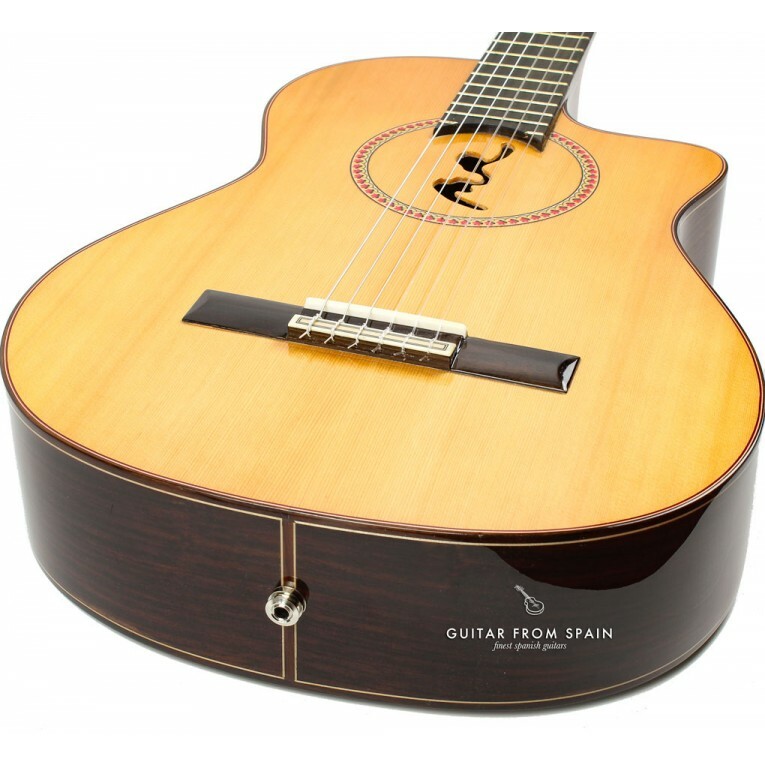 The B cutaway includes a signature “MR” logo soundhole for a distinctive visual experience to match its amazing sound. 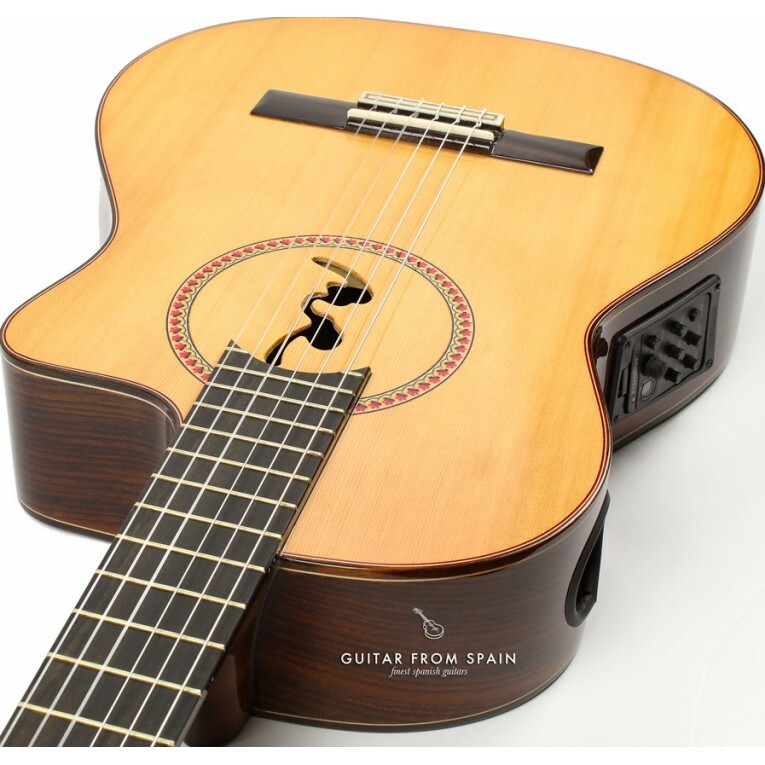 For the electronics, the Rodriguez Model B CUT Boca MR, relies on a Fishman Clasica Blend preamp for complete tonal control of your amplified sound.